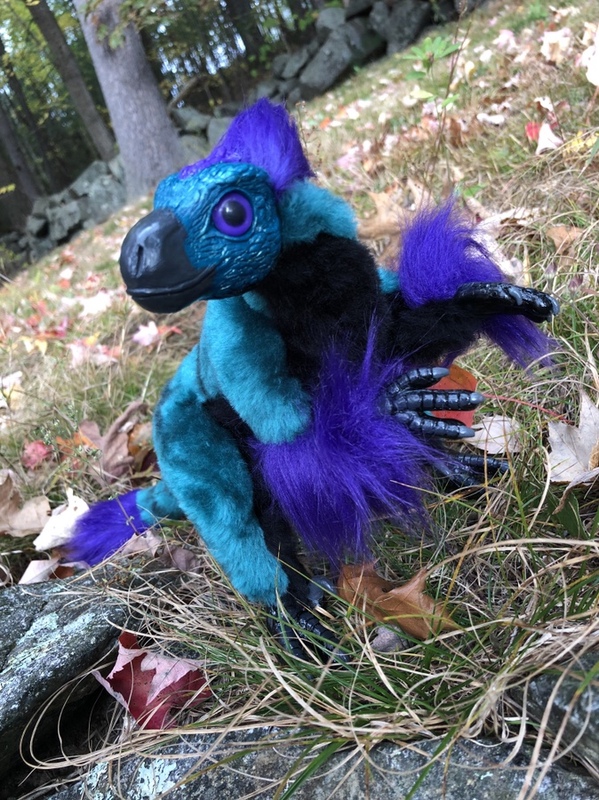 This teal and black raptor came out so wonderfully striking. I love this teal fur. It shimmers as you look at it from different angles, and the black stripes on the raptor’s back really set off the color. The purple fluff brings it all together! Next up were a pair of raptor commissions, one black with rainbow accents and one in the colors of the gorgeous Gouldian finch of Australia. 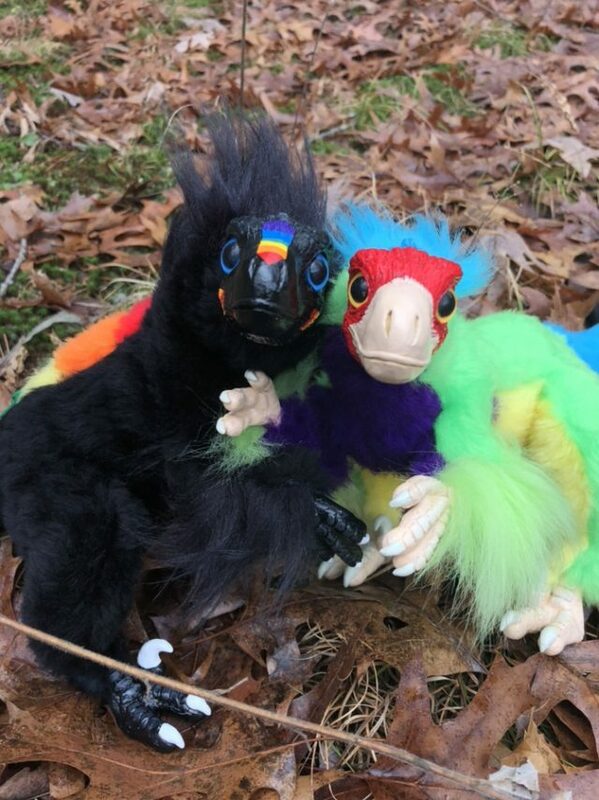 The rainbow raptor not only has its brilliant patterns on its face, but a rainbow that runs down its entire spine. I had so much fun making this pair, and I was so glad to hear the recipients enjoyed them. 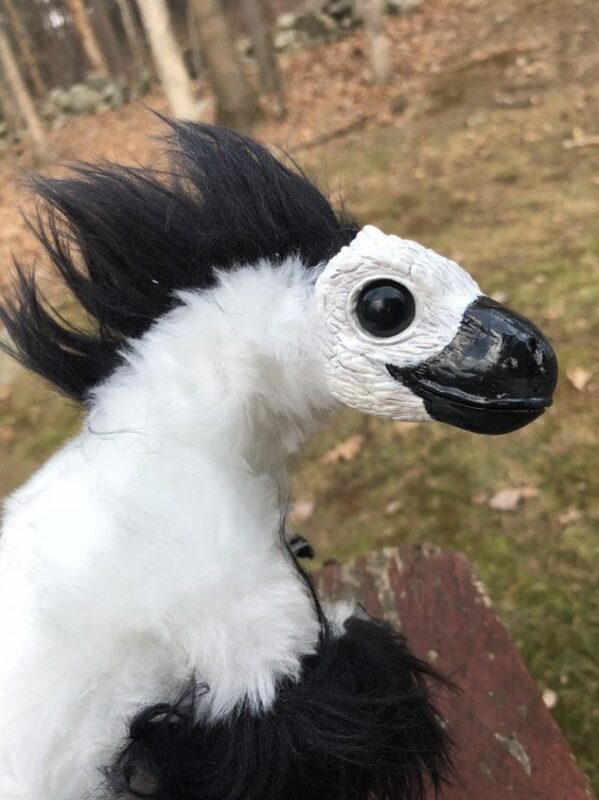 Another striking raptor, this commissioner specifically requested one of the eyes be painted white, and the other black. The side with the black eye is particularly intimidating, and I hope this little one is doing a great job protecting their new home and family! So many raptors! Another lovely beasty with a black tummy. 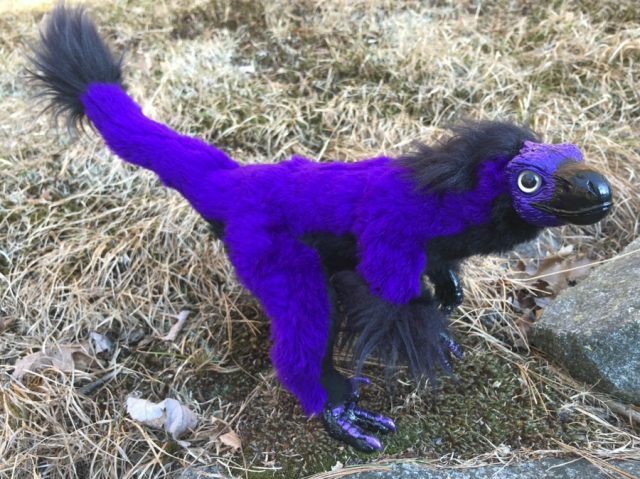 But this one has a bright royal purple fur, and purple iridescence on the backs of the hands and feet. The claws are iridescent too. My poor camera just couldn’t do this lovely little guy justice. It really sparkles in person. I’m thrilled that this little one is very happy in their new home, and getting to go on all kinds of adventures! Not a raptor, but still a dinosaur! This was a special commissioned baby T. rex, with the request being to make it colored as if it were a real animal. I had just recently found this lovely mottled tortoiseshell fur, and it fit this baby perfectly. The black ruff around its neck has some bronze highlights that really brought the whole thing together. 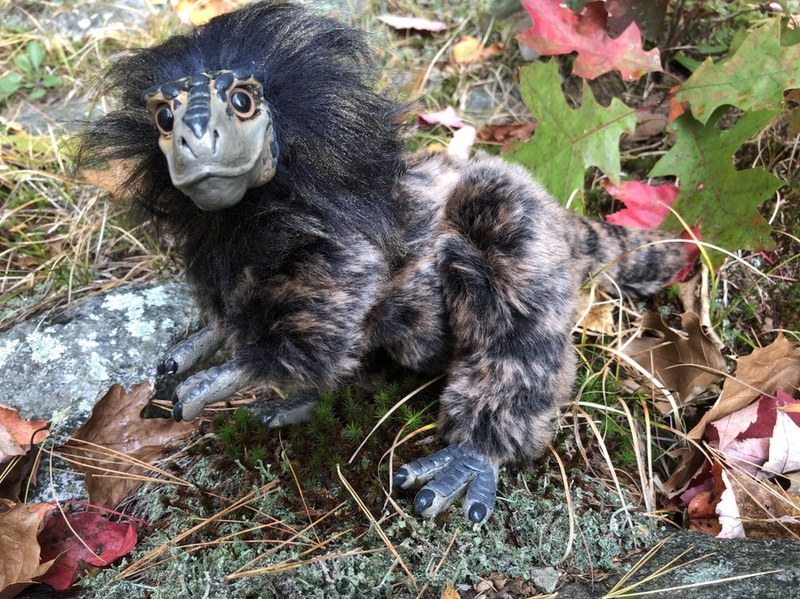 I’m so pleased to many people were excited for my dinosaur themed creatures this year. I’m planning on designing other dinosaurs in the future as well. Are there any in particular you’d like to see? Leave a comment and let me know!